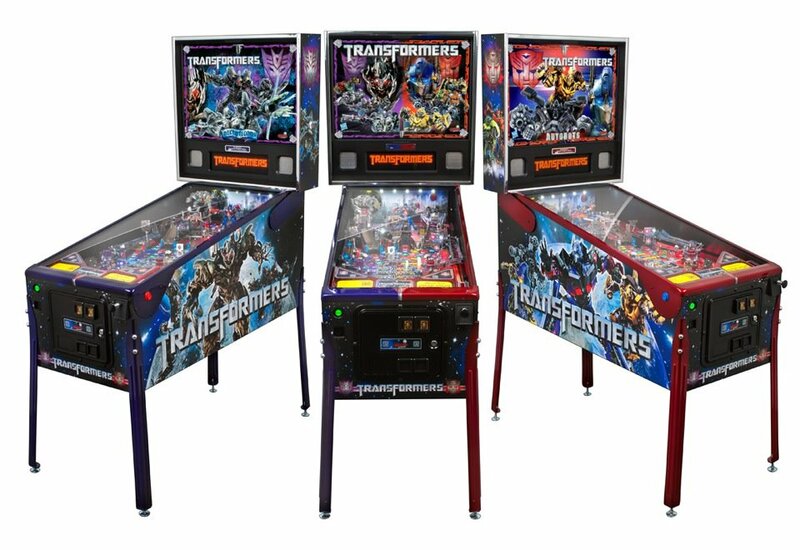 Stern Pinball has unveiled three cabinet designs for the new Limited Edition Transformers Pinball. As you can tell, Stern has gone down the unusual path of releasing three designs for the Limited Edition, one for the Autobots, one for the Decepticons and one to feature both. They are certainly destined as a fan service although when you look over the features this has over the Pro version, I would much rather have one of these LEs for my arcade than the Pro version as this looks like the game it should have been in the first place – very detailed with interesting toys and deeper rules. Not that such a thing is a surprise since that has been the case since they started creating these Limited Edition games starting with AVATAR. The only thing I could say would make sense perhaps (beyond the usual things I talk about with pinball) would be a local/online network feature. What better way to simulate the constant battle the Transformers partake in than that, but that would probably entail a redesign of their internal hardware, which would be costly and these are already going to command a higher price due to the extra content. If you are curious about the price, as one example our premier site sponsor here, BMI Gaming has the machines listed at $6375 for the combo LE and $7175 for the other two, so they are going for a premium if you really have to have them. They are apparently only making 99 of each the Autobot and Decepticon models as well, so they will be hard to come by pretty quickly I imagine. Here’s part 3 of Stern’s mini-documentary series about Transformers pinball, for those interested.